The competition is organised by Mövenpick Hotels & Resorts. Entry is free for any person of at least 18 years old. No purchase necessary. You must enter the draw until 4 September. The winner will be notified by e-mail on 5 September 2014. - dinner one night at the hotel's Victor Hugo Restaurant. You may use the prize until 31 December 2015. 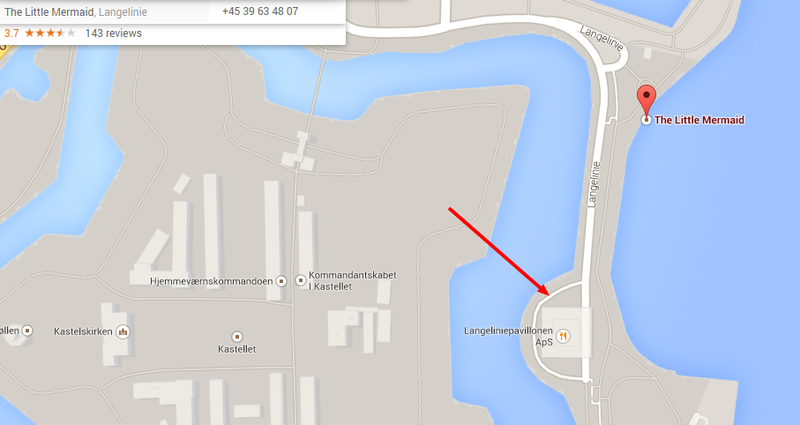 We've recently visited Copenhagen and found a central spot where you can park you car for free for 3 hours during the day and unlimited time during the night. 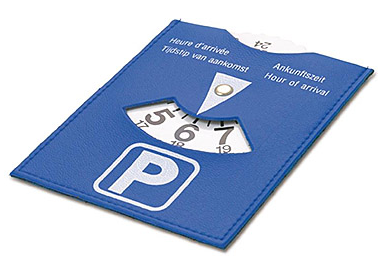 All you have to do is to show the parking disc on your inner windscreen showing either the time of arrival or the time of departure (depending on the type of car parking disc you use at your place of residence). We have recently enjoyed a 10 day trip through Denmark and Sweden and can share a recommendation for the cheapest rates at good quality hotels in Scandinavia. The solution is to book Radisson Blu hotels at their Friends and Family Rate. How does this work? Rooms at Radisson Blu properties are sold for only €80, breakfast included, when you book this special rate. To benefit from these discounted hotel rates in Scandinavia, you need to know somebody (either a family member or a friend) who works at a Radisson hotel or another hotel from the Carlson portfolio (Park Inn, Park Plaza, Country Inns & Suites). Especially in the today's Internet environment, it is virtually impossible that you do not have such a friend (Facebook, LinkedIn, etc.). Or maybe you have befriended a hotel employee during one of your previous stays at any Radisson hotel. After booking this special rate, during check-in the reception clerk might ask you the name of your friend and where he works. That's all, no other details as per the terms and conditions of the rate. 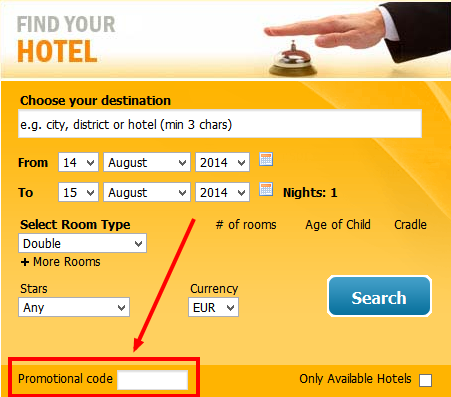 This rate is not always available at all properties, some you might not find it on all your travel dates. The code CARLSONF must be typed in the field "Promotional code" in the search form. We have already booked these cheap hotel deals in Scandinavia at the Radisson Blu hotels in Aarhus (Denmark) and Malmo (Sweden). We were not asked anything at check-in. These rates are even cheaper than budget hostels in these Nordic countries. All things considered, this deal might be one of the best tourists can get worldwide. Travel dates are available all days through to the end of the year 2014. Rates are non-refundable. This deal represents a 50% discount compared to the regular price that you can find at your usual online travel agencies, like booking.com for example. A limited time coupon valid for purchases of minimum €150. Great week-end breakaway of 2 nights at the Wendover Arms Hotel*** in High Wycombe. This 2-night package offered by TravelBird includes buffet breakfast each morning and is available all week-ends from August through October. At only £78 for the entire package, this is a very good offer, considering that it is more than 50% discount compared to the same package bought from other suppliers (such as booking.com). Visit the official tourism website of the Buckinghamshire county to see the wealth of attractions and activities in the area. Summer offer from Marriott and American Expreess: stay three nights and pay only two. Valid when you pay with an American Express credit card. The third night is discounted at check-out from the hotel, when you pay the invoice. In the search results, this special rate is shown as "AMEX complimentary night and more". Rates are fully flexible (you can cancel for free, in case your plans change). Seasonal sale for all Hyatt properties in India, offering a flat discount of 50% off the daily rate. These special rates ares available for booking until 15 August 2014, for stays until 10 January 2015 (black-out period from 1 November to 15 December 2014). These discounted Hyatt rates are shown as "Monsoon Flash Offer" and are non-refundable (book only if you are sure of your travel dates). Cheap hotel deals in Cinque Terre are hard to come by and even harder when you are looking for the best quality / price ratio for your Cinque Terre accommodation. We usually stay away from guest houses because of the lack of any standards whatsoever. Being in a guesthouse means being at the mercy of the owner, with no other authority to complain to in case of problems. We do make some exceptions to this rule, though. As usual, we do not consider hostels, or any form of accommodation with shared bathrooms. Also, we penalize properties that do not offer free in-room Internet, which should be as ordinary as toilet paper these days. When we visited the area we also stayed at the Holiday Inn in Genoa, however we do not recommend Genova because you loose 2 hours each way by train to reach Cinque Terre. Let us know where and how were your stays in Cinque Terre.